Each issue of The Mentoring Memo features a mentoring calendar for the current time of the year. The April calendar is now available. 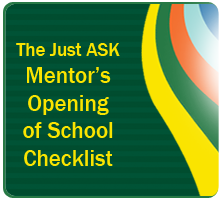 These calendars, excerpted and updated from The 21st Century Mentor’s Handbook, offer suggestions for mentoring actions to support novice teachers and teachers new to the district. When you take a look at them, you will quickly see how useful they are. Be sure to forward them to your mentoring colleagues. Post them or a link to them on your district/school website. Cherry blossoms, tulips, dogwoods, and azaleas abound! It is a great time of the year to live in the Washington, DC area! As the days grow warmer and it is light later, our thoughts along with those of our students turn to seeking opportunities to be outside enjoying this time of the year. Given that, it is essential that all of us make sure our instructional planning focuses on learning experiences that will engage students at high levels. At Just ASK we live by the mantra that the best management program is a strong instructional program. As we all know, teachers who get caught up in “control and compliance” may have an orderly classroom, but chances are that not much learning is actually going on… unless it is learning to dislike school! I encourage you to be honest with those you are mentoring about the fact that you have a slight case of “spring fever” and then invite them to join you in exploring one or more of the April mentoring tools. There are two reasons for this approach. If you haven’t already done so, now is a great time to seek out more and more opportunities to move from a consultant stance to a collaborator or coach stance. Plus, by modeling your own thinking about your decision making processes aloud, you send the message that, as an experienced professional, you are still in a learning mode. Heather Clayton’s Question and Stem Guide for Teachers and Students is a masterpiece! I have worked with Heather for over 20 years; I knew her first as an accomplished elementary teacher and have had the good fortune to learn with her through her roles as instructional specialist, assistant principal, and principal. She gets IT big time! You can access the library of Making the Standards Come Alive!, (written by Heather) here. Bruce Oliver’s issue of Just for the ASKing! 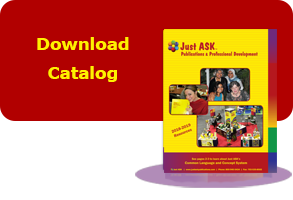 titled “It’s the Thought That Counts” is one of over 120 issues in the Just for the ASKing! library found on the Just ASK website. The Yesterday and Today chart is worthy of your attention. I have worked with Bruce over 20 years as he professional career took him from social studies teacher, to assistant principal, professional development specialist, and 16-year middle school principal. He, too, gets IT big time! The one-page Top Ten Tips For Ensuring Students Meet High Standards is my creation first drafted as I winged my way back and forth across the country to work with various school districts in California. A focus on any one of these tips would keep any of us busy for quite a while. I am delighted to admit that I am a woman who likes bright colors and is admittedly a sucker for Top Ten Lists! 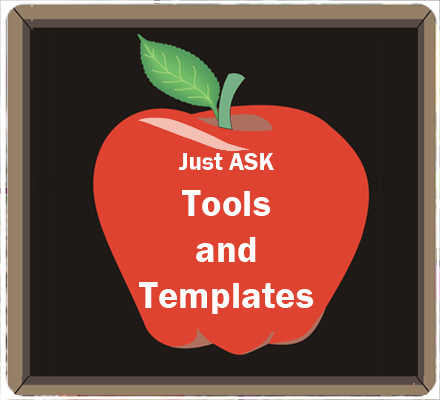 Access the April Trio of Tools by clicking on the graphics below. 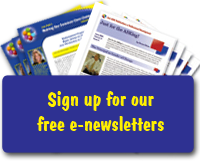 Hundreds of FREE Mentoring Resources! Over 7,000 educators involved in mentoring work have attended one of our national institutes or our district-based mentoring workshops. Over 850 of our award-winning Mentoring in the 21st Century® Resource Kits and New Teacher Professional Development Kits are being used in districts across the country. Over 600,000 mentors and novice teachers have in their hands our The 21st Century Mentor’s Handbook or our new teacher’s book Why Didn’t I Learn This in College?